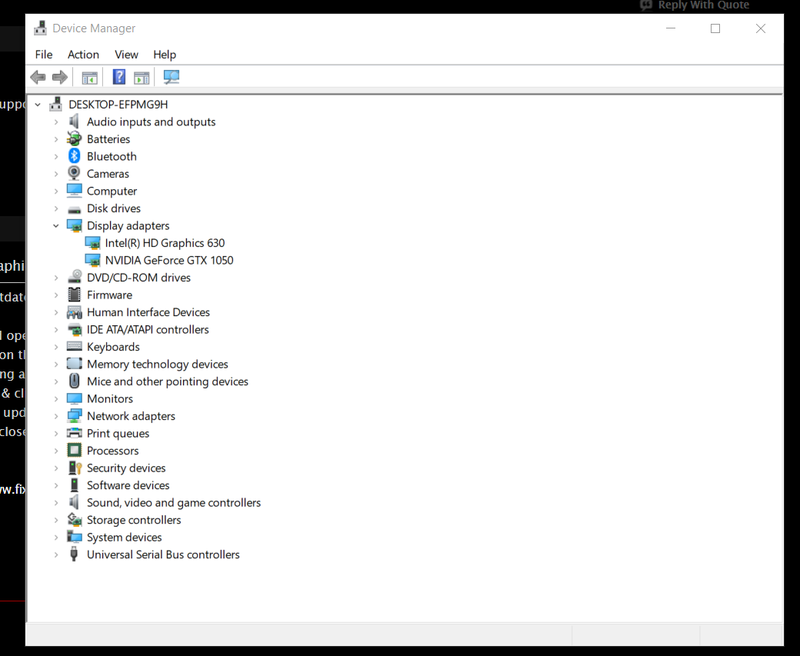 After Windows updated to the Fall Creators Update 64-Bit, I cannot use any Nvidia graphics driver newer than v382.53. Installing any driver newer than the one provided on Asus's website caused the blue screen of death with the DRIVER_POWER_STATE_FAILURE error. I have updated BIOS, but I still get this blue screen crash if I install anything newer than what ASUS provides on their website. If it is not the blue screen, I get an error message about not having a display connected to an Nvidia GPU. This is a problem because I purchased Need For Speed: Payback a few days ago. I cannot play the game because my graphics drivers are old, and I need to update. I would go download new drivers, but these all cause the blue screen of death on this notebook I have sent an email to Asus technical support. I have had the same problem since updating to Windows 10 rs3. So I downgrade to rs2 and watch the progress. There seems to be a crash during NVIDIA graphics acceleration. And there might be a problem with sleep mode. Please also check that the ASUS team is aware of the BIOS issue. Before downgrading, I noticed Nvidia released a new graphics driver. I am gonna try that one out and see if it doesn't remedy the situation. If not, I am going back to build 1703 until issues with Fall Creators Update are ironed out. My laptop hasn't shown me issues with sleeping (hopefully it doesn't spring up on my side). I have emailed technical support about the issue and they saying I should downgrade. My BIOS is up to date. I have the same problem. Any idea how to fix it? The drivers solution doesn't work. Update: Fixed it temporarily by reverting to the previous Windows build. Last edited by TishoHristov; 11-23-2017 at 11:22 PM. I will report it to our technical support department. •	Go to the Device Manager and open on it. •	As the process is completed, close the tabs. And what do you do if the Device Manager says that it's all ok? I was successful for a short period by reverting to the old Windows build but I had to update it back. Expecting Microsoft to have fixed it, they haven't. I used the instructions given to me by ASUS's technical department, step by step, it didn't work. And I don't want to send it away for a technical checkup as I am just about to go into my December holidays so I will need the laptop for gaming and such. Any other way to fix this issue? Edit: it seems to be constant ups and downs with me. I updated to the latest BIOS version 304, it works now. Last edited by TishoHristov; 12-04-2017 at 11:51 PM. Hi. This is exactly the same issue that I am having - in every single detail. Same model ASUS, same faults, everything. Although for some infuriating reason I am unable to revert back to the previous Windows. So I'm stuck with either a laptop that cannot even load up - if I update my drivers it constantly crashes to the blue screen of death - or I keep my drivers where they are, and I cannot play a single game on my system. Is there any news yet on the progress of this fault? We might suggest you could download the 388.43 version VGA driver from NVIDIA official website and try again.